CLICK HERE FOR OUR ONLINE SHOP FOR NEW SAFES. Electronic Safe Locks Retrofitted to any Safe. Click here for a solution. Simple electronic locks to time delay - audit trail - overnight locking etc, locks replaced or fitted as additional locks, we will have a solution to your problem. 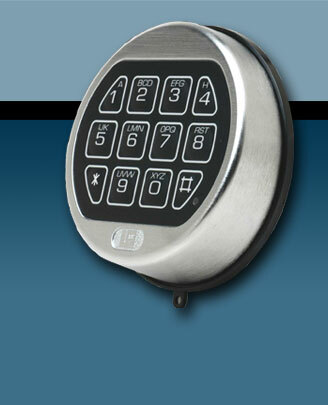 Modern Electronic Locking Solutions For Your Existing Safe. Lost combinations -- Time lock settings no longer required ? Don't replace the lock allow us to reset your lock to default codes. We can convert your mechanical combination / Key lock to an electronic keypad lock without affecting your over night cash rating on the safe. 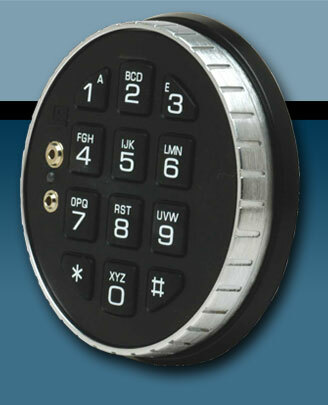 If you prefer we will add an electronic lock to work along side your existing Combination / key lock. 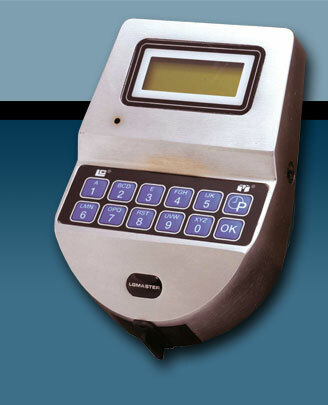 IP Locks -- Biometric Locks -- Time Delay Locks -- Audit Trail Locks -- Basic Locks. Whatever you require we have a solution that will suit your exact needs. No keys to carry or loose. No combination numbers to loose. No need to spend 5 minutes trying to dial combinations. Just press 6 - 8 digits on the keypad to open the safe. Electronic locks cannot be picked open like a key lock or manipulated for a combination lock. Auto diallers cannot be used to open your safe. Change the combination when employees leave instantly. Audit trails available (Who opened the safe and at what time). Time locks for when you are closed. Time delay on lock opening. Duress mode can call assistance silently if attacked. (requires connection to alarm panel). (Requires an alarm engineer). Battery's take 30 seconds to change and last approx 1 year. All electronic locks have an external battery connection in case of flat battery's. Simple to program and use. Connection to your alarm system so the lock is automatically disabled when the property alarm is set. (Requires an alarm engineer). This is just a small list of the advantages of upgrading your lock to electronic. We recommend fitting locks made by Lagard and Sargeant & Greenleaf. Need further information regarding electronic locks or lock upgrades please call us on the number below. 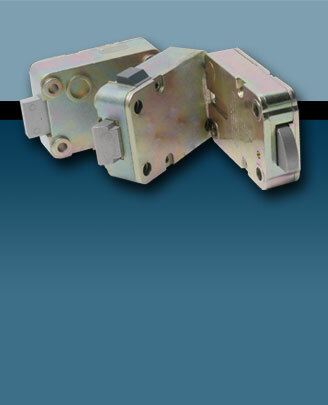 The 3 main locking types are listed below. The spring bolt lock is designed to be fitted onto cabinets and locks automatically every time the door is closed, this lock is ideal for MOT safes drug cabinets etc. The deadbolt lock is ideal for cash safes etc but must be locked manually by turning the keypad each time the safe is locked (Ideal if the safe is left open at times). The swing-bolt style is also ideal for cash safes and automatically locks each time the safe bolts are moved to the locked position. There are numerous keypad styles available dependant upon what functions you require the lock to perform such as E-key or software audit trails etc. The LG Basic is an 'entry level' electronic safe and ATM lock. It provides full security at a base level price. • Available in deadbolt, swing bolt, spring bolt. The LaGard Combogard is the original full feature lock and is ideal for businesses requiring hold up protection. • Extra large battery pack to extend to 29,000 openings. • The bolt can be monitored with a micro switch, which can also be formed in a circuit to monitor the door. If remote monitoring is required connection to an alarm panel would be required. 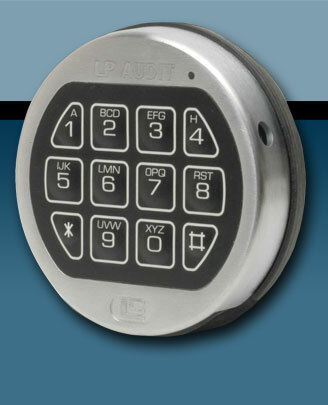 The LP Audit is a full featured lock with multiple users and audit trail. • Available in deadbolt, swing bolt and spring bolt. • Alarm box for interface to alarm system. The LaGard Master is designed for a system that requires up to 49 users, audit trail and advanced time locking features. • Alarm box for interface to alarm panel. • Bolt monitoring that can be formed into a circuit to monitor the door, giving a real time audit of when the door has been physically closed. Also can be connected to an alarm panel for external monitoring. If you have multiple safes in different store locations we can upgrade your locks to IP locks, this allows you to control any settings on any safe including the changing of combinations and time locks etc from your pc without physically visiting each store and manually setting each lock. IP safe lock technology delivers centralised control over an entire network of safes equipped with electronic safe locks. The system ensures the integrity of the existing safe security program by connecting and operating within the user’s existing LAN/WAN network, while offering data encryption for added protection. Authorized personnel can now remotely program locks and manage user populations such as entering and deleting users and changing user codes. In addition, users can pull audit trails and generate exception reports. The new IP Series system is a highly flexible, technology-enabled solution offering four expandable control options designed to deliver precisely the level of security organizations and security policies demand. Authorised users at multiple levels of assigned access can now control all required functions quickly and conveniently.